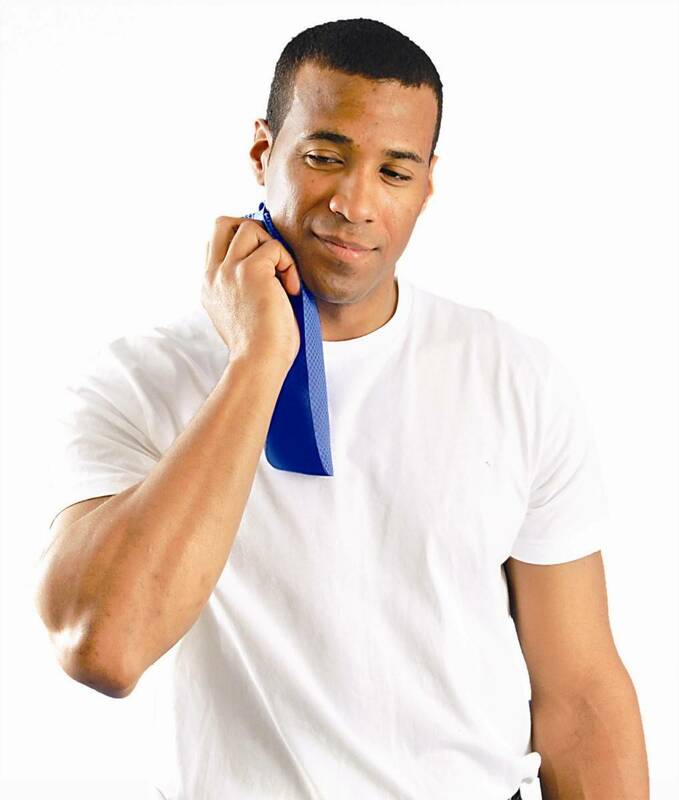 Occunomix 930 Miracool Cooling Neck Wrap. Simply cover it in cold water, and wrap it around your neck like a small scarf. It is made of super-absorbent fabric that holds the water without weighing you down. 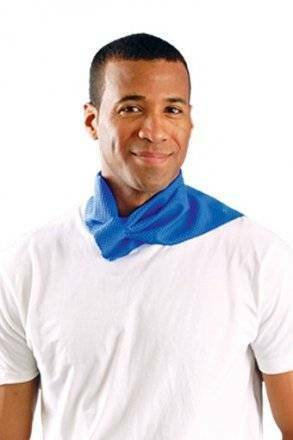 If you don’t want to wear it, you can use it to wipe off your face and neck. You’ll feel yourself cool down immediately. It is reusable and machine washable. It measures 31.5 x 4 inches and comes in a handy zippered pouch. Exceptional cooling power you will feel immediately! 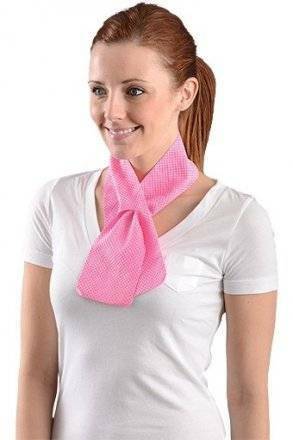 Multi functional design, wear on your neck or use to wipe face and neck.